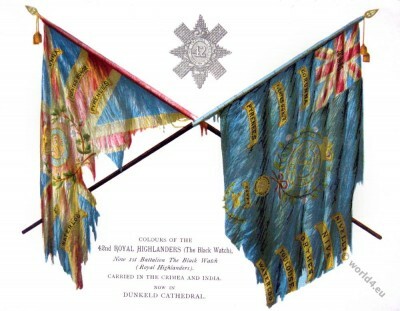 Home » Flags of the Royal Highlanders. The Black Watch. Flags of the Black Watch. From the book: History of The Scottish Highlands, Highland Clans And Highland Regiments by William MacKenzie. This entry was posted in 19th Century, Military, Scotland and tagged Scottish on 4/27/15 by world4.